There are beautiful nature walks in the rainforest that take you past isolated beaches and waterfalls. A rich variety of wildlife makes it a perfect spot for bird watching. For those interested in water sports, there are beaches for swimming and body surfing. From April to June, leatherback turtles can be seen while hatching on the beach. Tours can be arranged to the neighbouring Asa Wright Nature Centre and to a range of other points of interest by car or local pirogue. During carnival season, you can head into the capital to experience the magic of Trinidad’s world-famous steel orchestras, carnival bands and calypsonians. 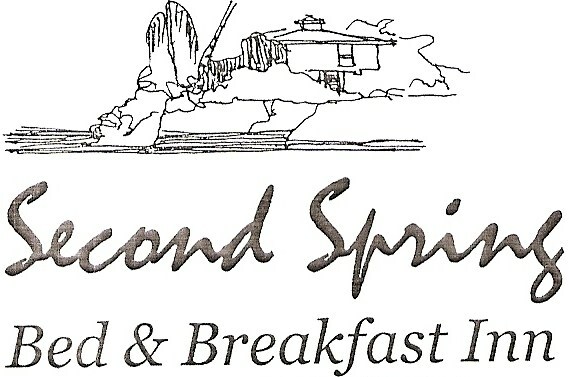 Second Spring is located between two wonderful beaches that allow you to swim. However, as the current can be strong and there are no lifeguards at the beach, caution is advised. The nearest beach with lifeguards is in Las Cuevas, where the water is mostly calm. Bathing is also possible at the laguna of the Marianne river. 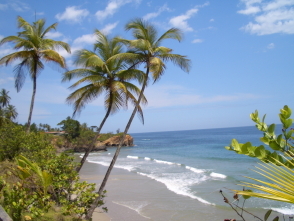 Blanchisseuse has wonderful beaches that allow body surfing and surfing. The property is located between two of these beaches. Please be advised that there are currently no lifeguards at the beach. As the undercurrent can be very strong at times on the north coast, please be careful and ask your host for assistance. Experience a traditional fishing adventure off the coast of Trinidad. From the fish market in the village, a local Pirogue, a small traditional fishing boat, will take you on your adventure. Please ask your host a day in advance for details and assistance. Fishing is also possible at the Marianne river. From April to June, the endangered leatherback turtles can be seen while nesting on the beach. This happens usually during the night, depending on the tide. Your host Mrs Holder will be happy to assist you with further information regarding turtle watching during the season. Please do not disturb the turtles while hatching and do not take pictures with flash, as this could irritate the turtle. Be careful while walking on the beach, as young turtles could be walking in the sand. There are beautiful nature walks in the rainforest that take you past isolated beaches and waterfalls. A rich variety of wildlife makes it a perfect spot for bird watching. The Paria waterfall can be visited by local Pirogue. Fishermen will take you to the waterfall, past isolated beaches that invite you to bathe. For information about rates please contact your host. This is a fairly easy hike that involves crossing the Marianne river to reach to the waterfall. The hike starts at the small incline on the right side of the bridge at the end of the village. In approximately 45 minutes you are able to reach the three pools. Please make sure to remove all packages, bottles etc. and carry them back for proper disposal. Tropical plants should not be picked and animals should not be disturbed. Remember that we want to leave the environment for future generations to enjoy.